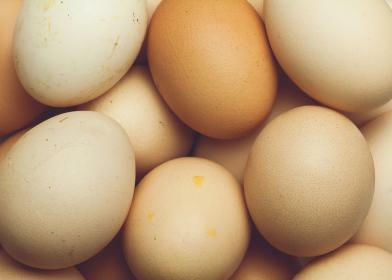 A multi-agency investigation is continuing after a link has been established between a batch of imported eggs and an outbreak of Salmonella Enteritidis Phage Type (PT) 14b infection in England and Wales. Two hundred and sixty-one cases of Salmonella Enteritidis PT 14b infection have been reported since the beginning of this year, the majority of cases being in North West England (111 cases), the West Midlands (40 cases), Yorkshire & Humberside (36 cases) and the East Midlands (29). “A strain of Salmonella Enteritidis PT 14b that is indistinguishable from samples taken from the human cases was isolated from a small number of eggs that had the same batch number. “These eggs had come from a specific shed on one farm in Spain.The Food Standards Agency (FSA) alerted the Spanish authorities and measures were taken to eliminate the risk of contamination from this source, including the culling of a flock of hens, the cleaning of the shed and the heat treatment of eggs to kill salmonella. “No eggs with the implicated batch number have been imported to this country since the end of June. Salmonella infection can cause watery and sometimes bloody diarrhoea, abdominal pain, headache, nausea, vomiting, and fever. It is often associated with eating foodstuffs (most commonly red and white meats, raw eggs, milk, and dairy products) that have been contaminated with the bacterium. The illness can range from mild to severe. The elderly, infants, and those with impaired immune systems are more likely to have a severe illness. In some cases, the salmonella infection may spread from the intestines to the blood stream, and then to other body sites and can be fatal without treatment. However, death from salmonella infection is rare. Rates of salmonella in the UK have fallen dramatically in recent years from a peak of infection in 1997. There are many reasons for this including greater public awareness about food safety. The compulsory vaccination of UK British Lion egg-laying flocks against Salmonella Enteritidis, which was introduced in 1998, has been a major factor. In light of this outbreak the British Egg Industry Council (BEIC) has issued a warning to caterers to make sure they look for the British Lion mark on eggs. They refer to this outbreak being the latest of a long line of outbreaks associated with imported eggs. The outbreak follows a fatal outbreak of salmonella food poisoning in 2002, which was also linked to Spanish eggs. In 2004, Spanish eggs were linked to a food poisoning outbreak at a café in central London, with one-third of the Spanish eggs used by the café testing positive for salmonella. An outbreak in a restaurant in Kent in 2005 was also linked to Spanish eggs after owners purchased a batch of Spanish eggs from an unapproved supplier. In 2009, several outbreaks took place in England involving a strain of salmonella, S. Enteritidis PT 14b NxCpl, which has not been found in egg-laying flocks in Great Britain. Most major supermarkets stock only British Lion eggs which are produced to the highest food safety standards. The British Lion Code of Practice includes vaccination of hens against salmonella. “It is unbelievable that British consumers are still being put at risk by imported eggs. There are plenty of high quality British eggs available, yet UK caterers think that it’s OK to risk their customers’ health by buying cheap, infected, imported eggs. When will they learn that it’s just not worth it?